1. Liquor infused iced pops. 2. Summer cold soups such as gazpacho or strawberry soup. 3. Mini passed ice cream sandwiches or mini passed ice cream cones. 4. 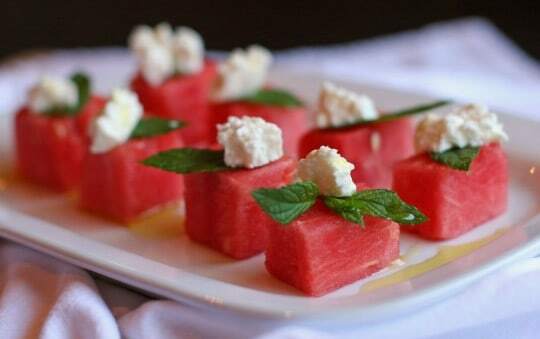 Watermelon salad with feta. And add a mini watering can for the dressing! 5. Passed skewers of BBQ food. 6. Sangria bar…make and create your own sangria!